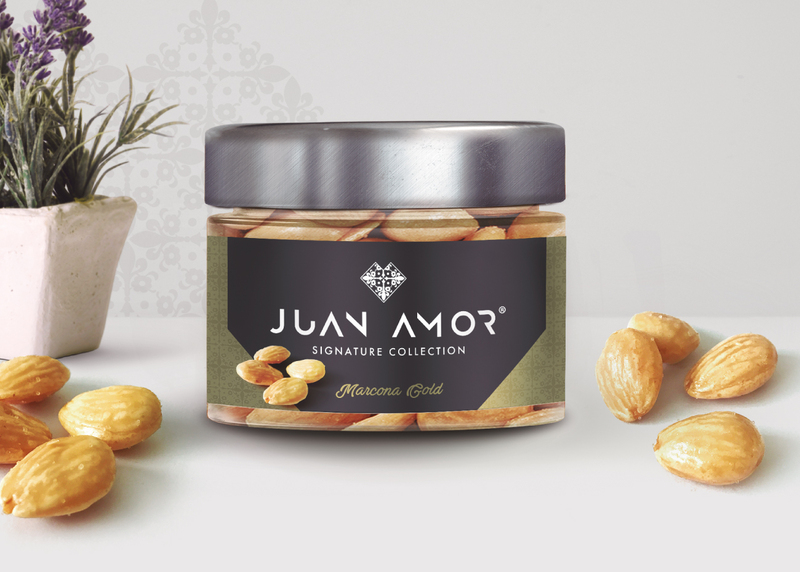 Juan Amor Signature Collection It is a line of gourmet nuts. Its delicate selection and care treatment provide the flavors and textures that make the pleasure of tasting a whole experience. 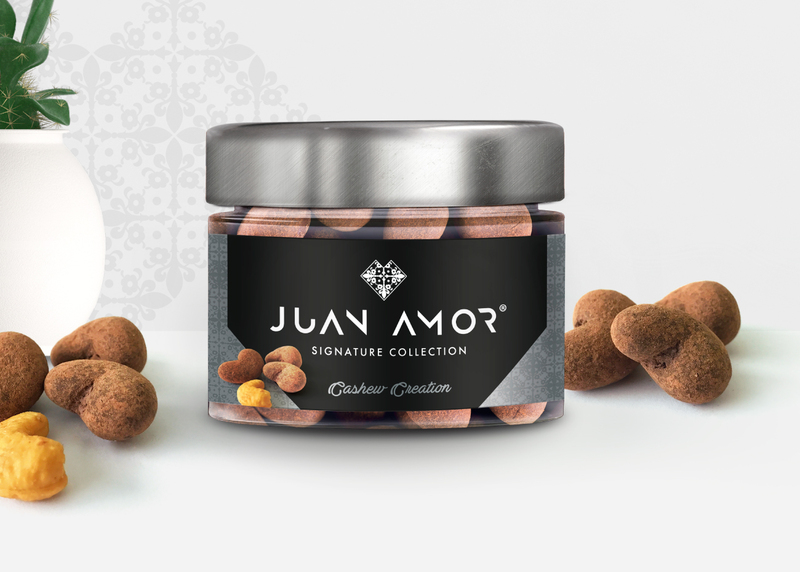 Juan Amor, aimed at people who enjoy the pleasure of eating and enjoy discovering new flavors, is the ideal food for those who love haute cuisine, value luxury and consider a new art the gastronomic sector. 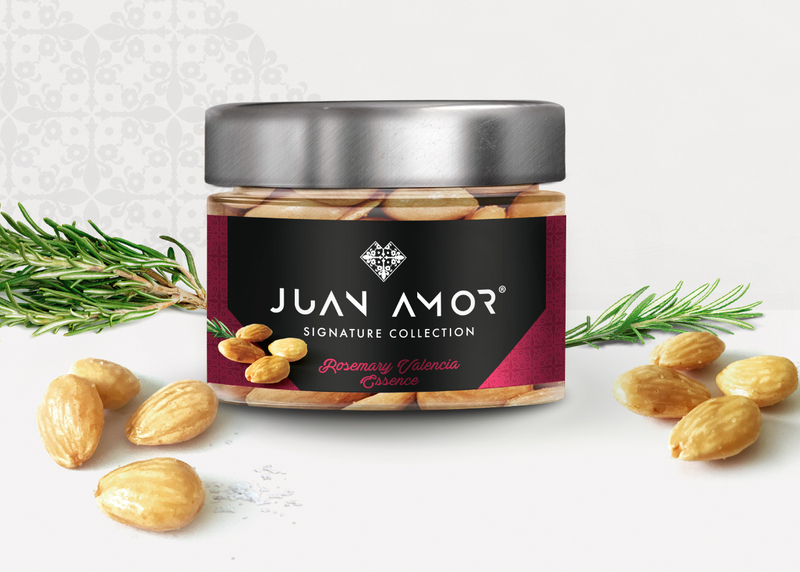 This product line has been created by Tanya and Laura Amor in honor of her father, Juan Amor, founder of the company. It is a careful selection of the best marcona almonds and cashew for the most demanding palates. Irresistible pleasures covered with pure cocoa powder. For those people who love haute cuisine and exquisite flavors. 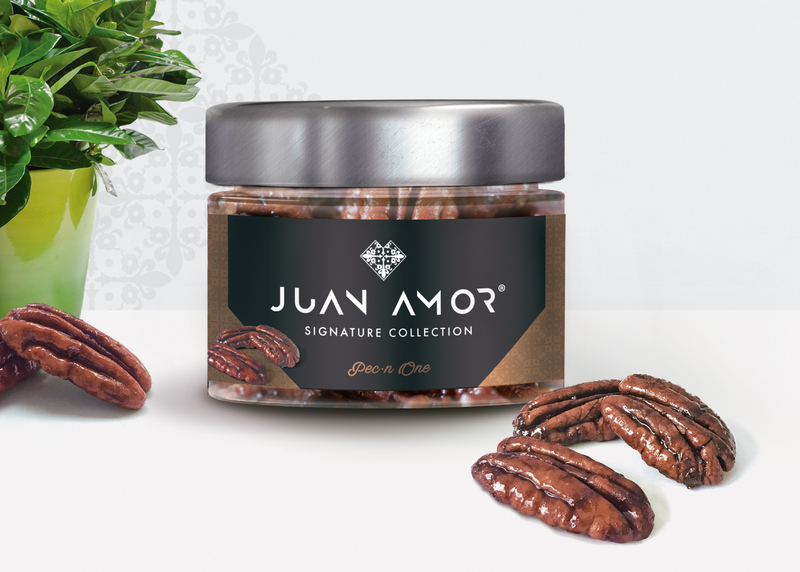 It is a selection of the best pecan nuts covered in the most delicious and soft caramel. Crunchy and tasty textures to delight our day. Aromas and colors that transport us to other places. Sensations to discover. It is a selection of the best nuts and spices with intense flavor.